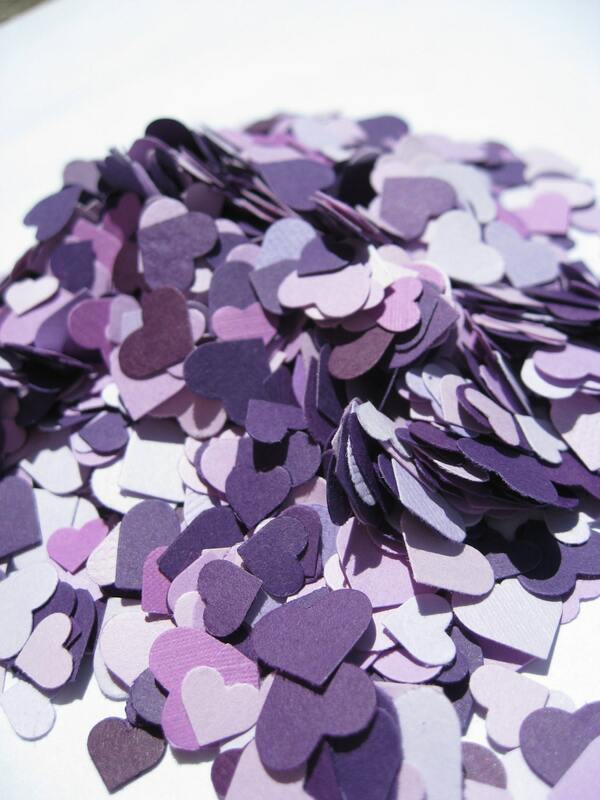 Over 3000 Mini Confetti Hearts. 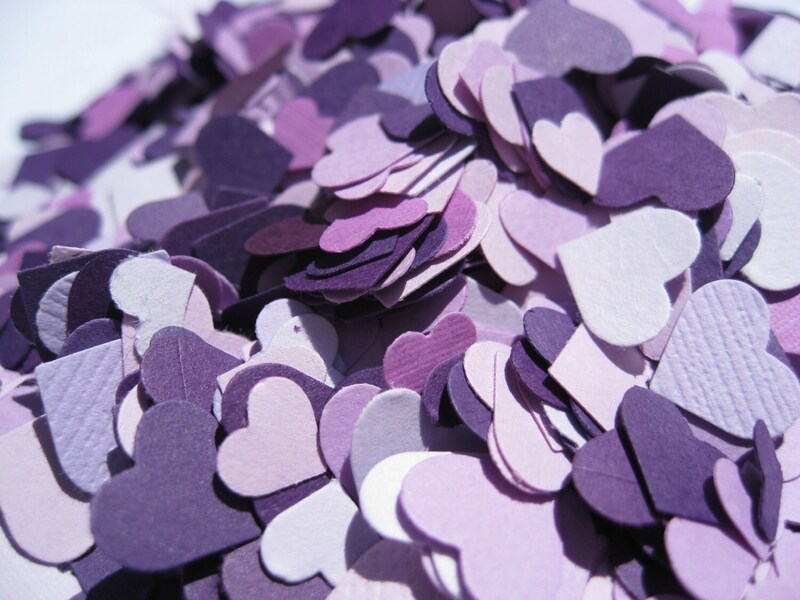 Shades of Purple, Lavender, Iris, Lilac, Royal. Weddings, Showers, Decorations. ANY COLOR Available. 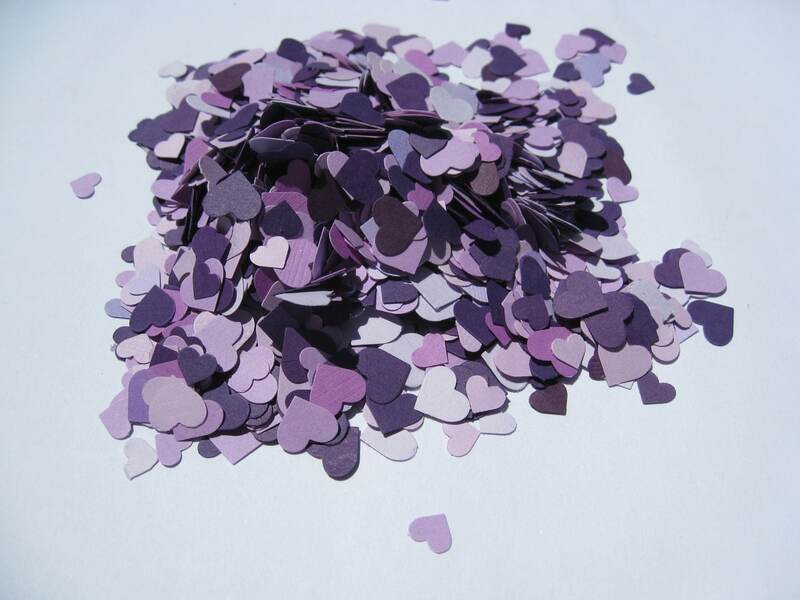 This listing is for just over 3000 die cut MINI hearts, measuring from 1/8" to 1/4". They are made from nice cardstocks. 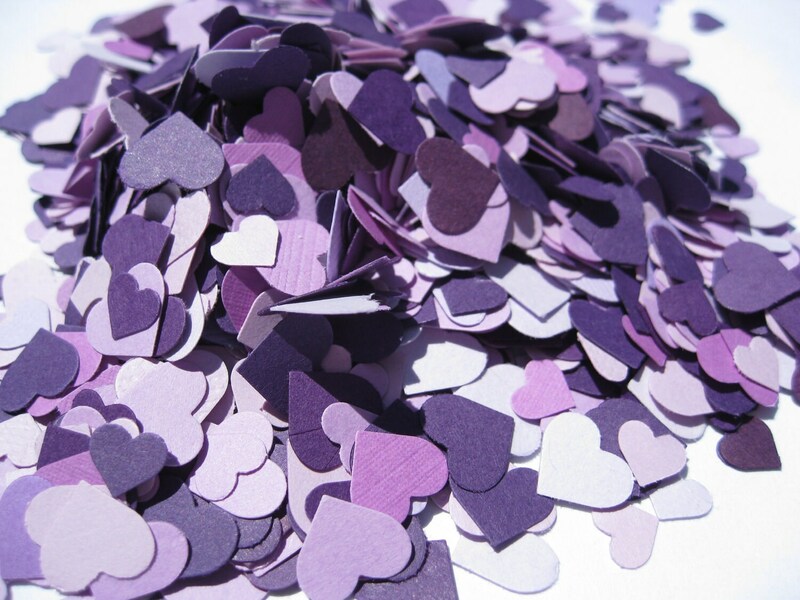 There are over 3000 hearts here. This batch has dark purple, royal purple, purple, indigo, iris, lilac, and lavender. 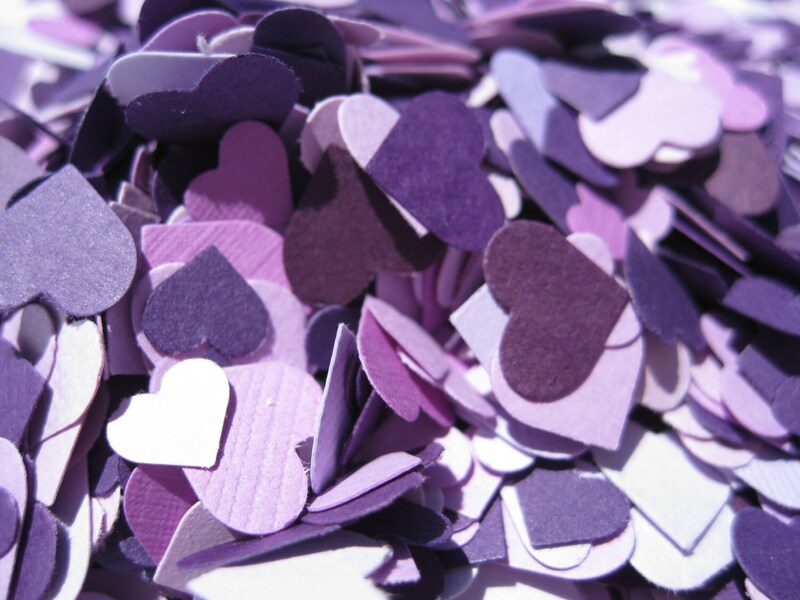 PERFECT FOR A PURPLE WEDDING OR SHOWER! PLEASE keep in mind that these are very tiny hearts. The 3000 amount is about 2/3 cup. Feel free to buy as many sets as you need. Or look in my store for a listing for 10,000. If you need a certain color, I can get it! Just ask.